Hallelujah! The Sweet Potato Queens are back!In 1999, Jill Conner Browne, royal boss of Jackson, Mississippi's own glorious Sweet Potato Queens, introduced them to the world in the hilarious bestseller The Sweet Potato Queen's Book of Love (which contained everything you ever need to know about Love, Life, Men, Marriage, and the importance of Being Prepared). But, fortunately for us, that was not the final chapter in the Queens' splendid saga. 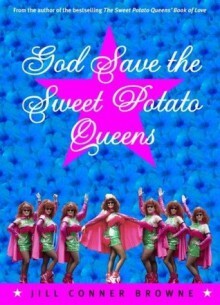 The Sweet Potato Queens still have plenty of stuff to say and valuable wisdom to impart about how they went from being Cute Girls to Fabulous Women, including:Dating for the Advanced, or AdvancingThe Joys of Marriage -- if you mustMore Delicious, Death-Defying Recipes The Promise for Men -- six little words that will make any woman Lolling About -- the official activity of the Sweet Potato QueensAnd, of course, The All-True Story of the Two Most Wonderful Men in the WorldNot to mention: Reader Mail -- honoring the adventures of brand-new Wannabes and Honorary Queens from around the worldIf you haven't met the Sweet Potato Queens yet, this is the introduction you've been waiting for. If you already know the joys of Queendom, this is your official welcome-back party.